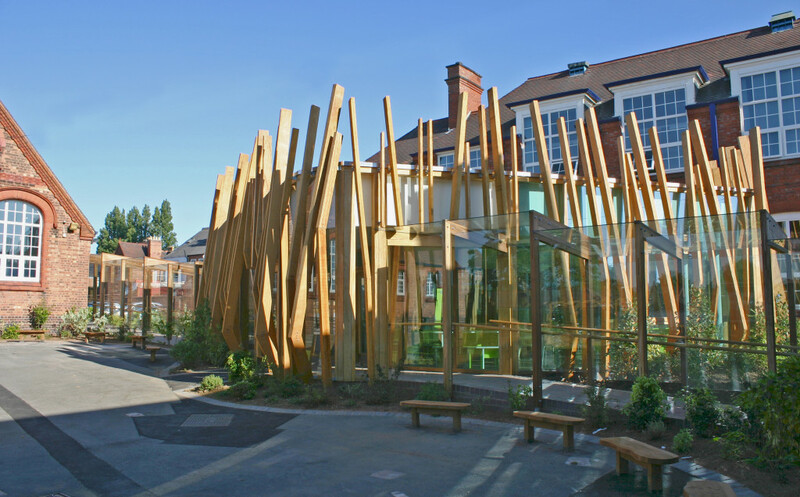 ​When asked to come up with ideas for a new addition to Rookery Infant & Junior School in Handsworth, Birmingham, we couldn’t resist ​designing a birds nest. 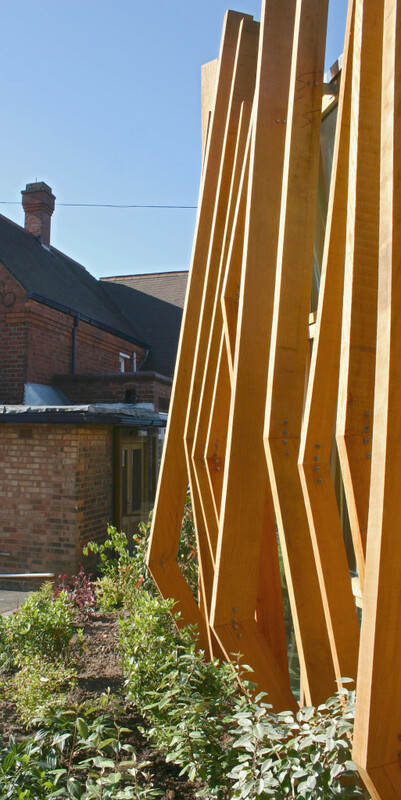 The fragmented nature of the existing buildings at the Grade II listed school were causing safeguarding problems, as all 3 buildings were potentially accessible by the public entering the main gate of the school. Children were being escorted between buildings which was time and resource consuming. There was also a need for a larger dining area which would free up classroom space. 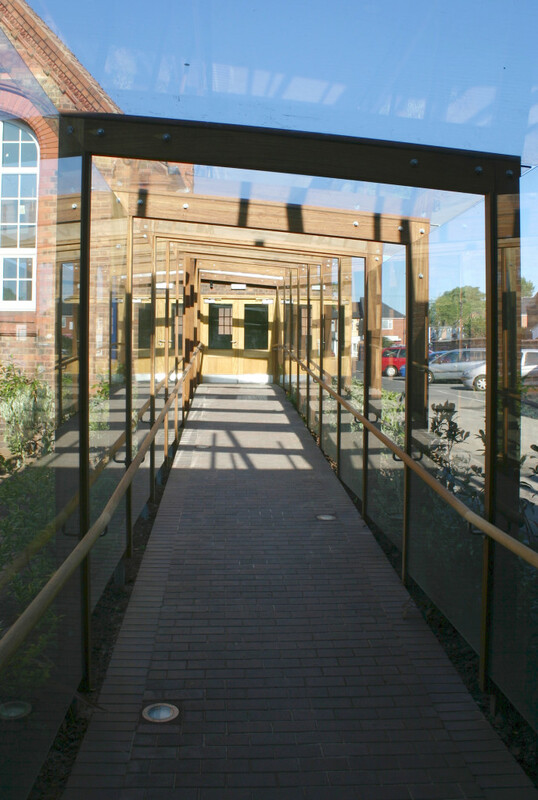 The brief called for a covered and secure walkway that would mediate all the different levels between buildings, and provide a disabled-friendly link. Finally, it was important to protect the setting of the listed buildings so that they still read as 3 separate elements. Construction was simple and lightweight (and inexpensive) and was easily worked in and around existing below-ground services. 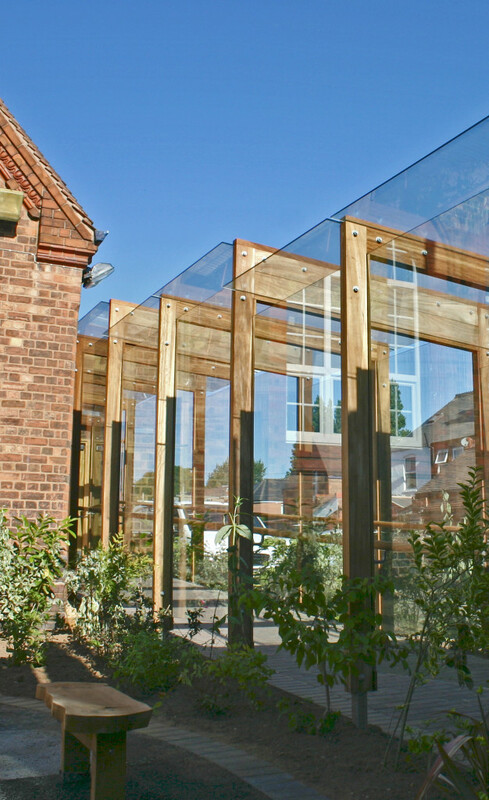 The walkways allow views through to the other buildings ensuring their relationship is visually unaffected. The playful nature of the dining space in particular helps to reinforce the reading of the new structures as ‘interventions’ in their context. 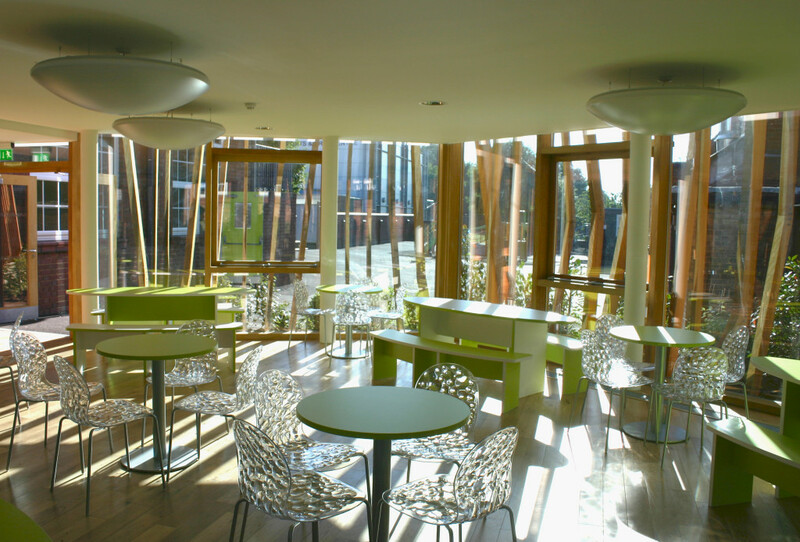 The conceptual idea for the dining room evolved from an analysis of the schools name, the surrounding area, and the ethos of the school… “Rookery’. 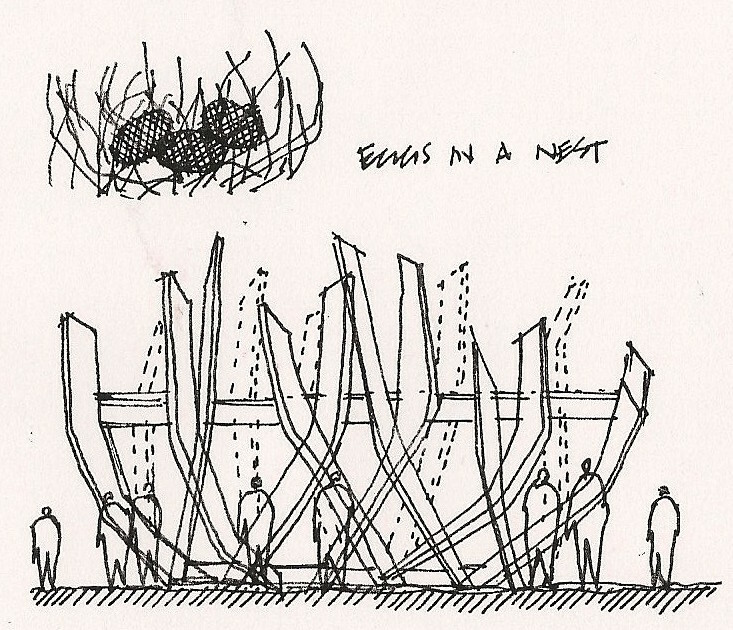 From this, the birds nest idea evolved which is timber-framed but organic in its form, and provides an opportunity to create and enclosed space whilst symbolising nature and nurture.